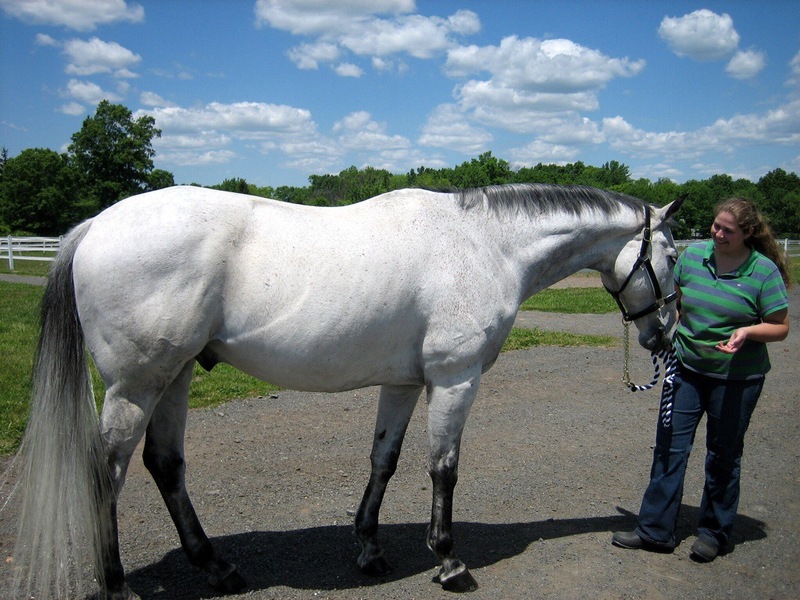 This picture was taken shortly after Gen became officially my pony…back in early 2006 (I leased him in 2005). Gen was ridden by me from June 2005 – March 2007…and has been retired March 2007 – today (May 2014). This picture was an outtake of me trying to get him in to a Thoroughbred Breed Society before I was able to figure out his racing schedule (before he let me touch his mouth so easily). I can’t believe I have had Gen for 7 years!!!! I love this horse. This entry was posted in Gennyral and tagged Horse, horses. Bookmark the permalink. He was and is such a handsome boy! Wow. He is such a stunner! Wow! What a handsome fella!